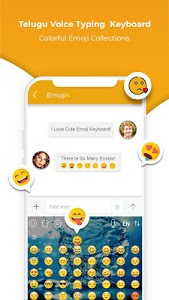 By using Telugu Voice Typing keyboard - Telugu Keyboard app just you speak in Telugu and get your Telugu text automatically typed and also just you type! A very simple & easy app but very useful. 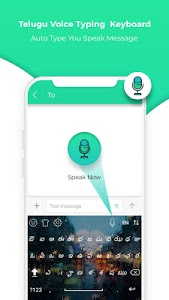 This app will capture your voice and convert it to Telugu text. + Telugu Keyboard helps to enjoy each and every taps with music just on your figures. 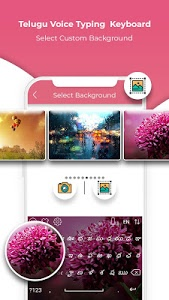 + Amazing Features with set background image to your keyboard with fully customize. + Telugu keyboard is designed in different beautiful themes. Change the keyboard to English, numeric and special characters. 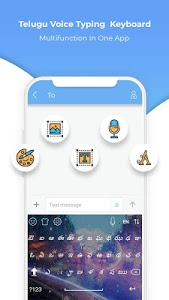 social app such as gmail, whatsapp, or any other browsers. + Make it cute! You can set your own photo in keyboard background. 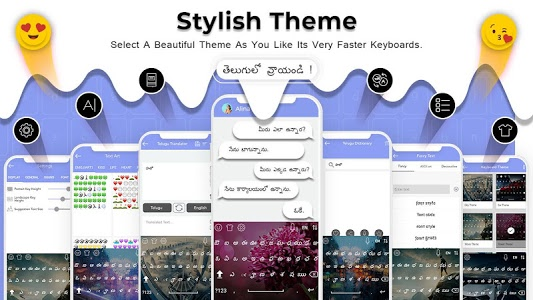 eye catching themes from Telugu Keyboard. - customize your text with decorative art. - now decorate your text with fancy font many more amazing fancy text and fancy art to make beautiful text. - Translate Telugu to English and English to Telugu vice versa. - Translator can quick translate from Telugu to English and English to Telugu words as well as complete sentences. - Hundreds of SMS categories. - Here is new Text SMS added. + Download & Install app and open it. + Enable Telugu Voice Typing keyboard - Telugu Keyboard in Step 1 and choose it in Step 2. 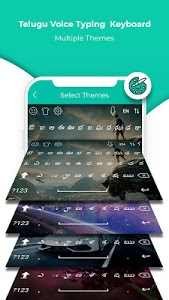 + Change settings and choose from colorful Telugu keyboard themes. + Wow! You can type Telugu everywhere now.